Mag Mell, working drawing. Usher. 2019.
and is held and supported by a hundred others. A lotus breaking the surface. Yun Shouping. 17th century, Qing Dynasty. Palace Museum, Beijing. 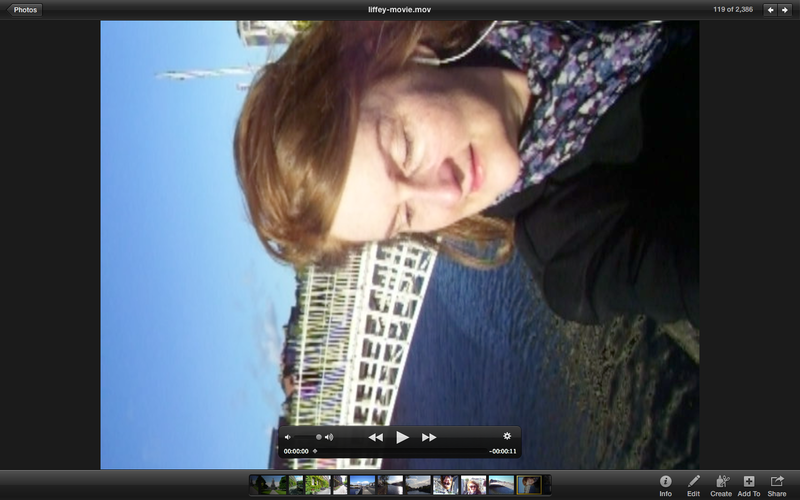 Self-portrait near a bridge over the River Liffey, Dublin. Usher. Someone in the southeastern United States recently bought one of my paintings and yesterday I mailed it to him. In order to save shipping costs, I packed the box myself. The end result weighed just over seven pounds and measured an unwieldy 33" by 41" by 3". In other words, though light in weight, the box was still long enough and wide enough to be extremely difficult to carry. Unwieldy-ness notwithstanding, since the FedEx satellite store was only a few blocks away, I decided to carry it there myself. While making my way up Broadway, the box slipped and shifted constantly. I tried several ways of carrying it but none worked for very long. Finally I had an inspiration and lifted the box up to my head and in that way I successfully made it to the FedEx store. What a comical sight I must have made, like some Dr. Seuss imagining -- a quite tall, so freckled, white lady with a box growing out of her head. Which brings me to what happened yesterday on the way to the FedEx store: I experienced the workings of my mythic eye. My lens on the world is my "mythic eye." That means I tend to use symbols and metaphors when interpreting the world around me. And yesterday my mythic eye contemplated the spectacle of walking down Broadway with a box growing out of my head and saw something larger. It's kind of hard to explain but in that particular moment I felt connected to other women, possibly all other women, women and how they work through their day, whether raising children or governing countries or walking around with boxes on their head. And I saw my part in that bigger picture as both unique and yet also universal. For a few moments I experienced the beautiful groove of my life and how amazing that felt to be in it. 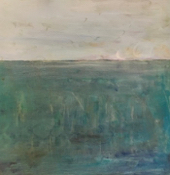 And interestingly, I understood in that moment that joy is not only found at my easel -- but it is also found in the simplest experiences of everyday life. Brigid's Well. Liscannor, Ireland. According to the locals, Brigid's well contains healing waters. Originallythe well was in a pasture, directly across the road from its current site. A villager misused the waters and the offended well dried up. Shortly thereafter, it reemerged in its present location. Supposedly St. Brigid appeared to a village girl at the new site. On a Friday in March I read two things in the news. The first report was on a study on the power of intercessory prayer to heal. The study, soon to be released by the American Heart Journal, was done with cardiac patients who were undergoing bypass surgery. Christian volunteers from three different groups were recruited to pray on behalf of some of the participants. It was the largest study of its kind to date and according to the review, it was also the most meticulous to date, attempting to address the flaws in previous studies. The bottom line? Prayer made no statistical difference. In fact, cardiac patients who knew others were praying for them experienced more complications post-operatively. The second was an article in Time on the state of the environment. The cover of the magazine read: Be worried. Be VERY worried. It is on climate change and global warming. The article talks about the tipping point for climate change and that once set in motion the change is not necessarily gradual, as we expected. That we actually seem to be seeing a feedback loop rather than a gradual decline, destruction that is fueling further destruction, an accelerating reordering of the environmental system. The bottom line? Left unchecked we could begin seeing widespread disease, species extinction, environmental collapse. To some extent, the process has already been set in motion and the ground that has already been lost may not be regained. Well, not for millennia. Personally I have wondered more and more about the power of prayer in recent years. The idea that prayer might not affect a change in the world seemed possible. But to live in a world of unheard prayer is a very scary notion. Consequently, early Saturday morning found me rebuking my god for not taking better care of things. Are You even listening to us? The world is falling apart and it feels like there is nothing we can do about it. Is this what You want? Tell me what to do. Just tell me -- what kind of world do You want? What kind of world do you want? It sounds more like a challenge than a question. A kind of un-answer to prayer for it returns to me the responsibility for the world that I create, the world we all create. Environmental damage, war, violence, human suffering. These are the by-products of human action. But can one person really make a difference in a world facing such enormous challenges? Quite simply, yes. I believe so. However, it will likely require that we each change the story we are living. But if we change our individual story, the stories around us will change. As the stories around us change, the world itself will change. Over this past year or so, all the appliances in my kitchen broke. Disposal, stove, dishwasher, microwave. Everything, except the refrigerator. Contrary to the ancient wisdom that says don't leave things broken because that will attract more broken things into your world, I let them rest in peace in my kitchen and reverted to no-microwave, no-disposal, patch-and-mend-dishwasher and toaster-oven living. Then last spring I had a conversation with the kitchen fairy. You see, the appliances weren't the only problem. The DIY kitchen cabinets featured doors made out of old windows and, consequently, wouldn't pass safety codes, much less an energetic bump from one of my mammoth dogs. And the giant concrete laundry basin that masqueraded as my kitchen sink never drained properly and was home to black mold (all the time). To repair or not to repair? No easy answer. There's the possibility I might have to leave my home next year so why bother? But we decided, the kitchen fairy and I, that I should probably just take a step in faith and pull everything out. The house would probably sell for more, if it came to that, and I could actually cook in the meantime. In late June I began what was to be a four month process of redoing the kitchen. There were losses along the way. One of the cabinet shelves collapsed due to flimsy shelf clips and heaved my mother's blue willow china on to the floor. Lost quite a few pieces to the clip debacle. Then one of the carpenters dropped a screw driver from a terrible height on a pile of pretty painted dishes. Seriously, how that sharp-shooting screwdriver managed to navigate through boards and cabinets to land squarely on a helpless little dish is nothing short of remarkable. I picked up the various broken bits and put them on the dining room table to toss out later. Then one more break -- when I fell hauling construction debris to the street -- spraining one uninsured foot and breaking the equally uninsured other. I couldn't drive. I couldn't walk. I crawled around on my hands and knees. I slept on the sofa for weeks. I cooked frozen meals in a toaster oven on a trunk at the end of the sofa. Shortly after my fall, the carpenters disappeared after receiving their first paycheck. Life didn't stop for chaos but thanks to a whole lot of help from friends and family the groceries arrived, there was help with trips to the orthopedic clinic, etc. Even the remaining subcontractors found all kinds of ways to extend unexpected kindness. Hauling away debris. Buying me a pair of plumber's knees to cushion my crawling. This brings me back to the lesson of the broken dish. My son saw the ceramic remains, ready for the garbage heap, and asked why I didn't just repair it. Had I heard of kintsugi? Kintsugi means "golden joinery". Using a lacquqer mixed with gold, silver, or platinum, artisans repair broken objects in a way that highlights the damage. When an object breaks, that's just part of its story and a reason for celebration. How had I never heard of this? Hearing my summer story a wise friend asked whether there was a lesson that Life might be offering me. Well, that's a complicated idea, I said, while crawling to the toaster oven. But maybe Life did want me to learn something new. If I can apply kintsugi principles to last summer, to all my summers, maybe I'll see my life with new eyes -- messy, unpredictable, sublimely beautiful at the broken places. Only a caricature Cartesianism would imagine a head, compartmentalized away from the disease, talking about the sick body beneath it. The head is tied to that body through pathways that science is only beginning to comprehend, but the general principle is clear: the mind does not rest above the body but is diffused throughout it. Arthur W. Frank, The Wounded Storyteller: Body, Illness, and Ethics, Second Edition. "I think -- therefore, I am" -- a fundamental premise of French philosopher René Descartes. But what is 'thinking' exactly? Is it only the function of our brains? Are brains and minds the same thing? Arthur Frank asserts that the mind is something more, that the mind and the body are not separate, but intimately interwoven. In other words, the act of thinking involves multiple spheres, including the body. Taking this one step further, there is reason to believe that the thinking mind, inhabiting both brain and body, may even transcend the boundaries of present time. Consider a cherry blossom. The researchers at Emory University did. They reported that laboratory mice could inherit a cherry blossom phobia from their ancestors. Following intense negative associations with the smell of cherry blossoms in the lab, chemical processes in the brains of mice immediately altered genetic material within their DNA to carry that trait. Subsequent generations of mice, stimulated only by the sense of smell, displayed traits consistent with the cherry blossom phobia of their ancestors. Scientists have speculated that this experiment might begin to explain the emergence of unexplained phobias and anxiety in humans, humans who now carry the embodied memories of trauma from their ancestors. I think -- therefore I am. Yes. But are our minds not only intimately linked to our bodies, but to our ancestors and their thoughts and lives and experiences as well? Now pause and think. Consider your life, the lives around you, the beautiful beastly world we inhabit. What larger truth might the cherry blossom be trying to teach us? 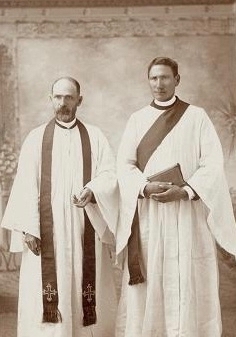 (left) David Oakerhater Pendleton (standing on right), known as the artist "Making Medicine", pictured here after his release from prison, serving as a deacon in the US Anglican church. After his death he became an Anglican saint and has an observance included in the Lesser Feasts and Fasts. 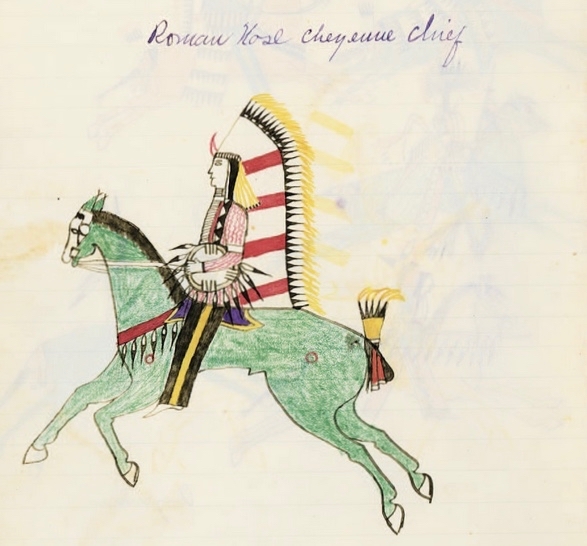 (below) Ledger Drawing, Cheyenne Buffalo Chase, David Oakerhater Pendleton known as the artist "Making Medicine" created during his incarceration as a POW at Fort Marion (in St. Augustine, Florida). Massachusetts Historical Society. "To encounter these remarkably detailed faces today is to encounter the people themselves, and how they appeared at the precise moment when their faces became someone else’s property." Many Native Americans imprisoned at Fort Marion (Florida) during the 19th Century generated "ledger art", so called when artists used lined ledger pages rather than more traditional Native American art materials (e.g. buffalo hide). The new materials allowed for greater detail and accuracy. 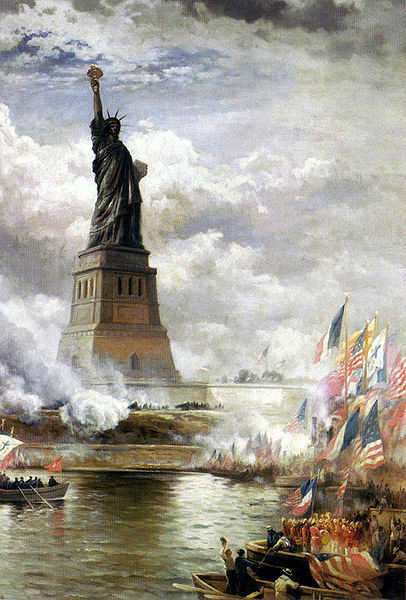 Originally artists centered their work on themes of warfare, heroism, and courtship. However, over time, Native American artwork began reflecting a changing communal life due to displacement and the influence of white western culture. One aspect of Fort Marion imprisonment was the creation of "life masks". 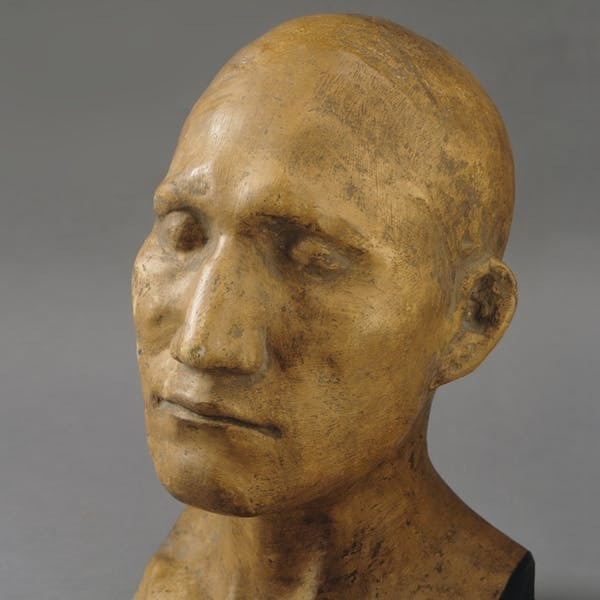 Life masks and death masks were popular during the 19th Century and the life masks of Native American POWs were a Smithsonian commission obstensibly meant to capture the faces of peoples on the verge of extinction. Since they were a Smithsonian commission they are not covered under the 1990 Native American Grave Protection and Repatriation Act. NAGPRA is legislation that provides requirements for the return of Native American artifacts to tribes and/or descendants. Dyckman Farmhouse garden, New York, New York. My mother has a rose garden. On cooler summer mornings you can find her there, gingerly working her way around the rose canes, her head enveloped by a large straw hat. My mother's garden has evolved over the years, largely due to her desire to wean herself and her roses off pesticides and fungicides. 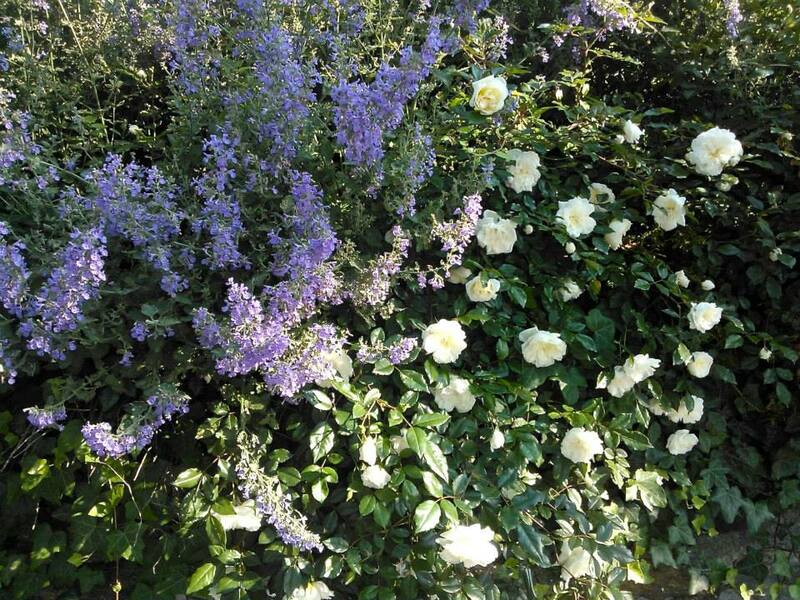 For a while it seemed this choice meant fewer and smaller roses, more plentiful mildew and aphids. But my mother is very patient and she persisted with her garden. Over time and through experimentation, she soon discovered that by replacing her showy (and high maintenance) hybrid teas with heirloom and "antique" varieties, her tiny garden developed a natural immunity. By simply adjusting the composition of her garden it slowly became more disease, pest and drought resistant. And quite surprisingly, none of the aesthetic was sacrificed. In fact, the rambling beauty of her garden is now far more rich, the experience of its perfume more sweet. "There is a God-shaped hole in the heart of man where the divine used to be. Sartre." And then he looked at us for a moment before adding, "That is what brought all of you here tonight." I did not realize then that a God-shaped hole was the reason I had selected that seminar but maybe he was right. The "God-shaped hole" is just another way of saying -- we are a society that has lost our myth. We are a society that has lost our relational compass and we are trying to find our way. We know that something important and fundamental is gone. And to describe that as a "God-shaped hole . . . where the divine used to be" seems pretty spot on. That God-shaped hole, our lost myth, whatever you choose to call it, plays out in all of our relationships and I am going to reflect on one dimension: the way it is playing out in our planet garden. Drought and famine and disease. Species extinction. Civil instability due to compromised and limited resources. Katrina and Darfur are only just the opening chapters to an unfolding epic that is straight out of end times mythology. And just how much we can do depends on how quickly we act. How did things get so out of hand? There are many ways to answer that question but I will offer my own perspective: the planet is the expression of our myth. Remember myth is the system for meaning and relationship and the myth we are living is based on the monomyth. The monomyth is a mythological framework which places a premium on the individual, conquest of the environment and personal reward. When creation is seen through that lens, creation ceases to be part of us. Creation becomes somehow outside of us, something to be conquered and exploited. When our human numbers were smaller, this paradigm served us well without long term consequences. All that changed with the advent of the Industrial Revolution. Beginning in the early nineteenth century, extraordinary advances in science and technology catapulted humanity forward. But the post-industrial monomyth had a darker side as well: hazardous waste and pollution, the depletion of natural resources, ecosystem exhaustion. Change was not confined to science and technology. There were also major socioeconomic and cultural changes which reflected a valuing of thought over feeling, science over mystery, technology over Nature. I notice that it is only when my mother is working in her flowers that she is radiant, almost to the point of being invisible--except as Creator: hand and eye. She is involved in work her soul must have. When Alice Walker contemplates her mother's garden she laments what might have been. She observes her mother in the garden and sees an icon for all the women who, because of their color and gender, were limited in their personal and creative expression. Women who might have been great painters and poets and writers but for a racist and patriarchal system that enslaved, exploited and silenced them. The same mythic underpinnings that exploited those women, exploit the earth. Nature has long been associated with the mythic feminine. For thousands of years, while the sacred feminine dominated, civilization was centered around a life in harmony with the natural world. In modern times, the patriarchal myth has eclipsed the matriarchal one, resulting in a world where Nature and Humanity are at odds. The consequence is a planet approaching freefall. Yet, as the world receives the grim news from throughout our planet home, a message from the past has provided us with a blueprint for the future. Near Stonehenge at Durrington Walls (UK) a recent archeological dig brought to light a society in harmony with natural cycles. I am hopeful that while we consider the global crisis at hand, guidance has actually come up out of the earth. Paradise lost and found, side by side. It is certainly not necessary to abandon modern science and technology in order to bring our relationship with the planet and each other back into balance. The paradigm shift that is necessary here requires both our present and our past myths to inform our future one. And this makes the memory of our mothers and their gardens more than a story, it makes it an essential part of a unifying vision. A vision of how to be in relationship with the earth. As Creator: hand and eye. And it is only through this relational approach to the planet that we can address the challenges at hand and fill the god-shaped hole in the heart of our collective myth. 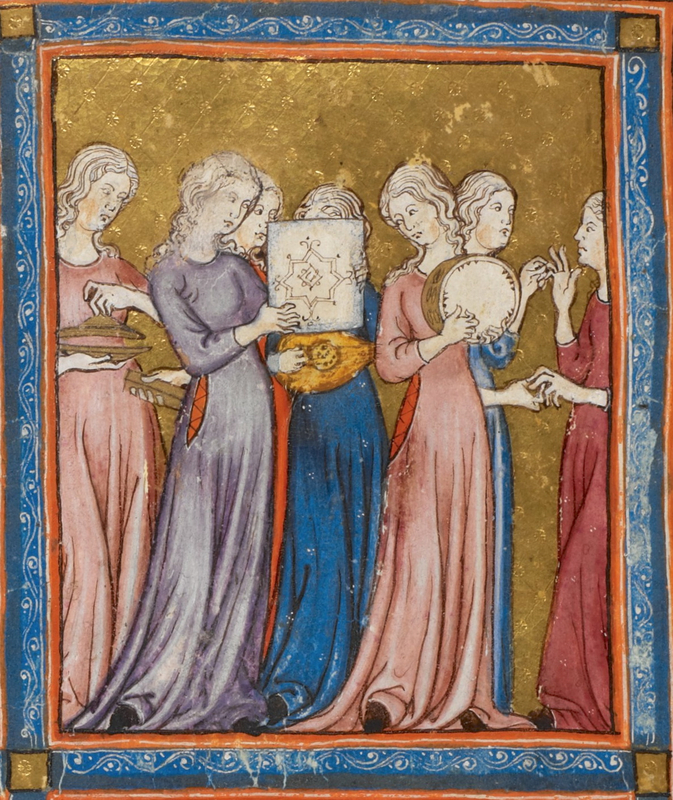 The dance of Miriam from The Golden Haggadah, artist unknown. ca 14th century. The British Library, London. This panel is an interpretation of Exodus 15:20. It contains thousands, perhaps millions, of individual threads. When the threads are woven together, something larger forms and an overall design emerges. Now imagine that tapestry woven out of living threads, each thread having the ability to change color and shape. And as each thread changes, the tapestry responds and transforms as well, allowing a different design to be revealed. Your life is just like a single thread in a living tapestry. Luke 1 is the textual source for The Magnificat, attributed to the Virgin Mary and part of the annunciation tradition. The church later adapted it as a canticle to be spoken or sung in church services. This poem shares similarities with a much older text, The song of Miriam (Exodus 15), possibly the oldest extant poetry in the Old Testament and often misattributed to the prophet Moses.This poetry is part of the exodus story and was sung following the successful crossing of the Red Sea. A comparison of the two texts follows. ... He hath showed strength with his arm; he hath scattered the proud in the imagination of their hearts. [top] Interior panel of Wilton Diptych. Egg tempura on oak panels. 1395. The National Gallery, London. [right] Verso. 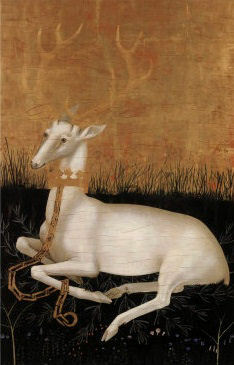 The white hart of the Wilton Diptych was the representative image on my web site during 2007 In mythology the hart serves as spirit guide or divine messenger. In early Celtic mythology, for example, the appearance of a hart could indicate that the Otherworld was close at hand and that a mortal now stood on sacred grounds. In Arthurian legend, if one encountered a deer in the woods and followed its lead, then the individual immediately embarked on a great adventure. We can look to the various myths as inspirational sources for our lives and as frameworks for meaning. Albert Camus said it best when he observed, "Myths are made for the imagination to breathe life into them." In other words, the myths are there as messengers and guides, but we must decide to engage, to breathe life into them, to follow the lure of a great adventure. My personal white hart myth includes both a life in the arts and, for the past ten years, a quest for the divine feminine. Looking back over the last decade, I can see how that particular framework for meaning has informed and shaped my life. Very recently, while considering the panel above, the repeating hart motif caught my attention. Though it's possible that I have seen this painting before, I don't remember ever noticing the white hart. Art is full of mystery and points toward something just beyond words, just beyond our knowing. This image serves that function for me. It is a signpost, a perfect visual metaphor for my own private myth, the representation of the bridge between faith and creativity, myth and meaning. 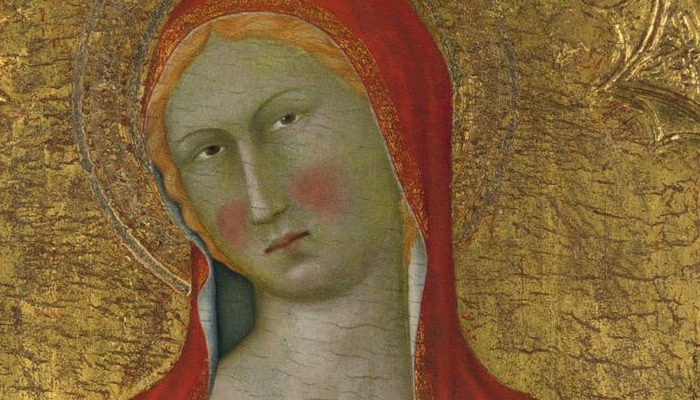 Saint Mary Magdalene from the Master of Palazzo Venezia Altarpiece Panel, artist unknown. 1350. National Gallery, London. Did you ever write a letter to yourself, one that you meant to revisit at a later time? I think the same idea is behind marking the interior frame of doors with your children's heights. If you look back at the series of scratches you can see how much your children have grown. I wrote the entry that follows exactly two years ago and boy does it stir up feelings to re-read it. Anyway, here it is again. Another life marker. One more scratch on the doorway. I met with a friend this week, someone who moved from Atlanta to New York around the same time I did. We had coffee and played catch up with our lives. One of the interesting things we talked about was this idea -- on the one hand, social media helps us stay in touch and on the other hand, it does sort of photoshop our real offline experience of living. 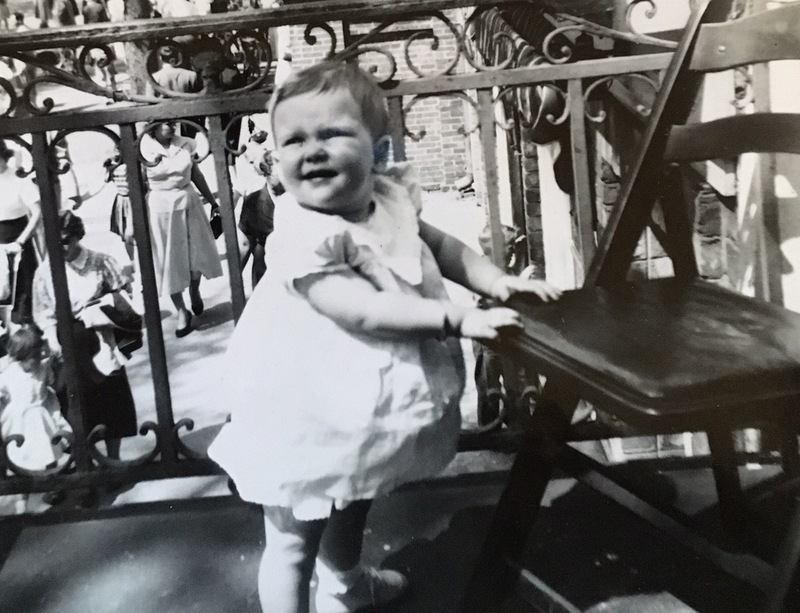 So, as I write this tribute to living in Manhattan for the better part of 15 years, I also realize that I have not captured all that has been so truly magical and inspiring and beautiful about my time here nor have I shared what has been heart-breaking and painful and tragic about my time here. Or, in other words, there's more to each of our stories than meets the eye. No matter what happens next, I think the biggest gift that I will take away with me is the writing life. Manhattan is where I came into my own as a writer. Whether I will ever achieve professional success as the world measures it or whether my success will be the simple writerly ways that I carry forward, I am most grateful for all the opportunities and experiences here that centered around a writing life. Mom and Dad always encouraged me to write (Mom specifically suggested children's books with illustrations) but, being rather contrary I suppose, I decided that I wouldn't. It took Manhattan and a life too large to understand any other way that made me into a writer. And it turned out that my dream became remarkably similar to my parents' dreams for me too. I close with this picture of Mary Magdalene which I was lucky enough to see up close and personal in the vaults of the National Gallery of London for my 60th birthday. They had removed it from the exhibition hall and when I asked about it, the docent who heard my story, suggested a way that I could ask permission (and just see what happens). It was the best present imaginable when they opened their doors to me. 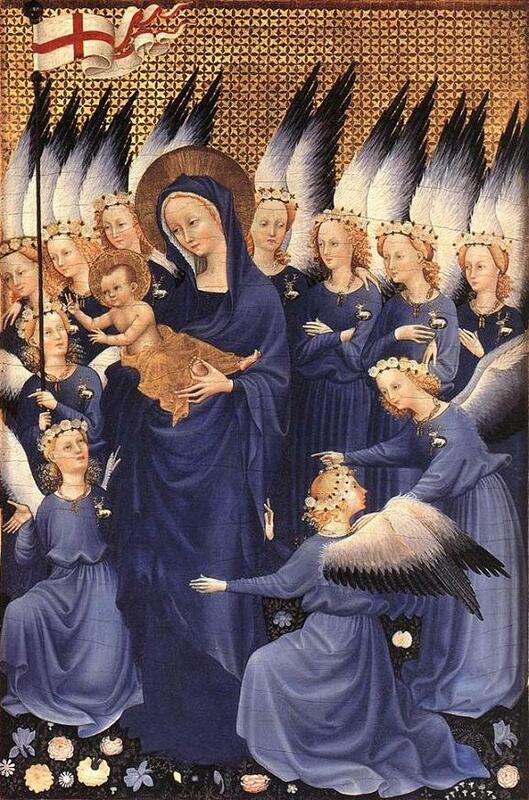 This painting was once part of a large multi-paneled altarpiece. The National Gallery has both the Mary Magdalene and Saint Peter panels. When the artist (aka Master of the Palazzo Venezia Madonna) was creating this altarpiece Italy and Venice were gripped by the plague. This artist, probably assisted by apprentices, spoke through all that death and suffering by creating this. Now that's all kinds of wonderful. For those who aren't familiar with the Mary Magdalene story, she was the first to receive the news of the resurrection or the "disciple to the disciples", as she is sometimes known. I love thinking about the story of hope and survival that this artist is telling from a point in time where the world is collapsing under the weight of the plague. Life and Death side by side. It's all there in the painting. And it's all there in the un-photoshopped wonder of our lives. Photo posted to Facebook series "Finding the way home." 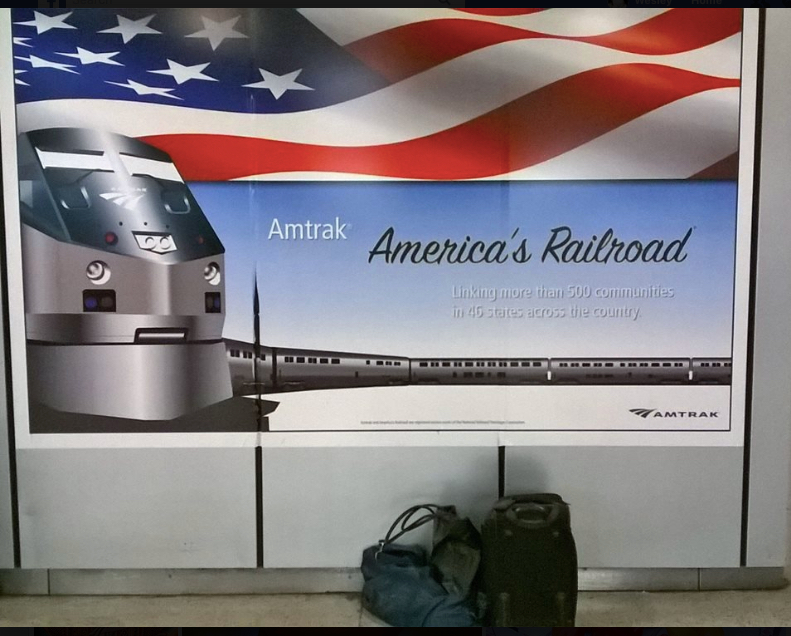 Caption read: Penn Station...listening to Good Thing...waiting to pick up rolling suitcase checked in Atlanta. 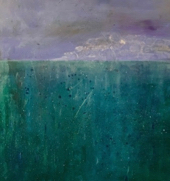 Prior to New York and a writing life, or about fourteen years ago, I relocated to New York City to attend graduate school at New York University in clinical counseling. It was my time at NYU and most particularly an independent study in the final year that proved to be a watershed for my life. The independent study focused on the connections between gender bias, narrative and the emergence of the Self. That study reshaped my identity as a woman and as an artist. It also produced a self-narrative paradigm which I named the Scheherazade Model, after the famous Arabian storyteller of the same name, who told stories to save not only her own life but the lives of other women. In 2005 I launched a web site, The Scheherazade Project. The goal was to have a place that I could have a voice, explore the narrative work I began at NYU and, quite simply, begin my writing life. Over that first year, I wrote about the three prongs of the Scheherazade Model: mythology of self, mythology of other and mythology of planet. The focus was on feminine values, community and harmony, as opposed to masculine values, individuation and conquest. I was slow in finding my way and there were frequent rewrites, editing, misdirection. The web site has been rechristened and reimagined several times. But, looking back now, I realize that is part of the process of discovering and claiming your own voice. It is also part of the process of discovering and naming your own life. Statue of Liberty unveiled. Edward Moran. 1886. Museum of the City of New York. I have been feeling nostalgic this week. It was seven years ago today that I flew into New York to interview for a graduate program in art therapy. That trip was only the second time I had ever been to New York. The first time I visited New York was in 1973. I flew into the city one bright spring afternoon and, as the pilot banked the plane over the East River, I unbuckled my seat belt and stood in the aisle so I could catch a glimpse of the Statue of Liberty. My ultimate destination was Princeton University to visit my cousin. He was not able to pick me up at LaGuardia and sent a friend in his place. The aforementioned friend met me at the airport gates in a navy blue blazer, striped tie, buttoned down oxford, khakis and suede bucks. His Ivy League preppiness in combination with Manhattan's operatic vastness was unlike anything I had ever experienced. We only spent a few hours in the city, an afternoon largely centered around an ice cream sundae at Schrafft's (probably somewhere near Rockefeller Plaza) and a collision between the front of his car and the rear of a yellow taxi (just outside the doors of Penn Station). I was in New York no more than three hours -- but how those three hours have stayed with me. It was the first time I had traveled so far on my own. Looking back, I regard my first trip to New York as one of the markers of my entrance into young adulthood. Second trip. This time, instead of the Statue of Liberty, the city greeted me with the pavé sparkle and sapphire velvet of a Manhattan skyline at dusk. Coincidentally, my travel package placed me in a hotel in the area of Rockefeller Plaza. However, thirty years later, Schrafft's was long gone and I was a lifetime away from the girl who stood in the aisle of an airplane to see the Statue of Liberty for the first time. Looking back from this vantage point, I see now that the second trip was another beginning as well. There are two journeys in a lifetime. The first is in young adulthood. We seek to learn about the world and the Self, the adaptive Self, the one which is shaped by parents, culture, institutions. It is a normal developmental stage, one which lends itself to building careers and family. However, if we are lucky, sometime in midlife, we begin our second journey. It is the second one in which we discover the authentic Self, the one which transcends the parameters of our adaptive Self and our heretofore known world. What lies within each journey is, of course, unknown at the beginning. As we begin, we can only hope and imagine. 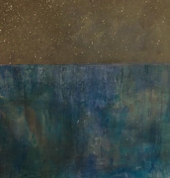 There are many ways of viewing the "soul's high adventure," as Joseph Campbell would put it. The Ten Oxherding Pictures from Zen Buddhism is just one. But whether you define your process through the visual images of ox taming, or the narrative stages of the hero's journey, or the mystical symbolism of alchemy, you begin the journey in the same way with each -- by first hearing the call to seek a higher Self. What follows next is nothing less than all the joys and sorrows of the world -- in other words, the experience of Life. The garden polyptych. (from top, left to right) No. 1: Annunciation (Matins), No. 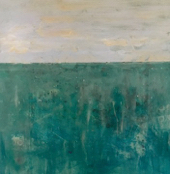 2: Dreams (Lauds) private collection, No. 3: Birth (Prime), No. 4: Spirit (Terce), No. 5: Adoration (Sext) private collection, No. 6: Communion (Nones), No. 7: Grace (Vespers) private collection, No. 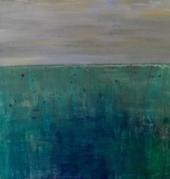 8: Completion (Compline) private collection. 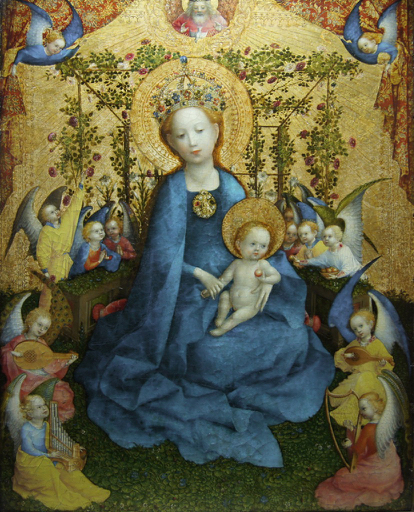 (below) The madonna of the roses, Stefan Lochner. 1448. Wallraf Richartz Museum, Koln, Germany. "Once upon a time" -- what does that mean? It suggests the beginning of a story, one from the past, probably a fairy tale. But there is something very special about the phrase. Unlike "happily ever after" that signals an end to the story and our imaginative journey, "once upon a time" is full of possibilities. With those four words we enter a place apart from our everyday experience and outside the constraints of ordinary time. Time is the governing feature of the journey from "once upon a time" to "happily ever after". But, if we allow it, Time is far more creative than the progression of hands around a watch face. Time is wild, irrational, a trapeze act that can move forward and backward and then maybe not at all. Here are two ways to think about how Time works. First, one from Life. Then, one from Art. The garden polyptych (above) is a new series I created for a November exhibition. I love illuminated manuscripts and they were an influence on this work but stained glass is probably a better metaphor for the project, as the piece narrates the transformation of color through the lens of one day. Consider. If you watch a stained glass window you will see it change. The window glass remains fixed but when combined with light, as it is meant to be, the glass transforms over time. It's more than the shifting of colors. 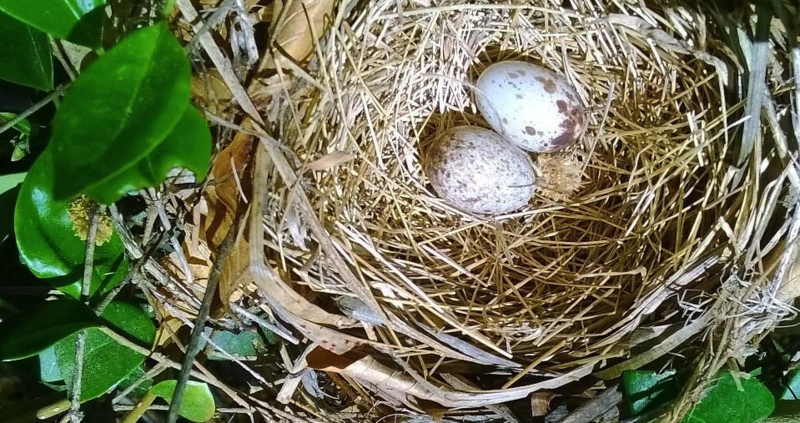 If you watch carefully, it can also hold the flickering shadow of branches or a bird's wings. It can shift the light in the interior space, as a chapel brightens or dims or holds a puddle of rainbow light on floor and walls. The garden polyptych considers the fundamental truth of the stained glass: Time is at play in the world. Turning to art. The relationship between light and Time is at the heart of French Impressionism and the work of Claude Monet. In a departure from traditional indoor studios, French Impressionists worked in out-of-door venues where the shifting environment provided not only a new lens on the world but required a new technique to express that. 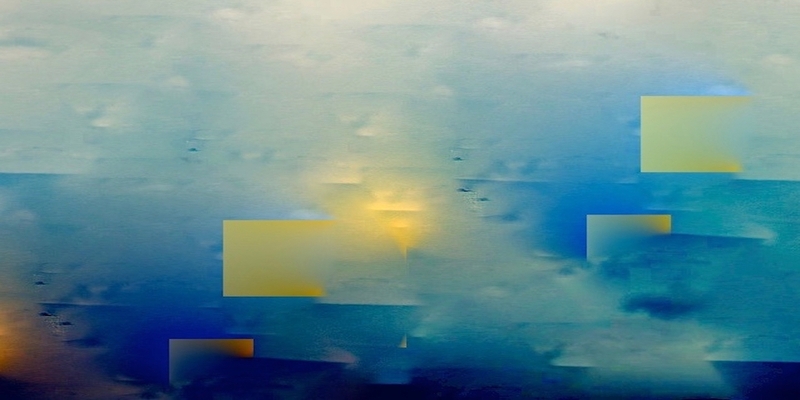 Broken color combined with broken brushwork reflected observations outdoors. Paintings took on a sketchy and unfinished quality. 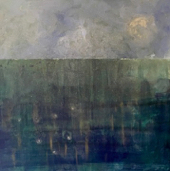 Artists also began shadowing with color rather that black and gray and the overall result was highly evocative, conveying a sense of light and atmosphere. Claude Monet explored atmosphere in the natural world throughout his life. He had a particular interest in serial studies which included haystacks and poplars, Rouen Cathedral and the Houses of Parliament. 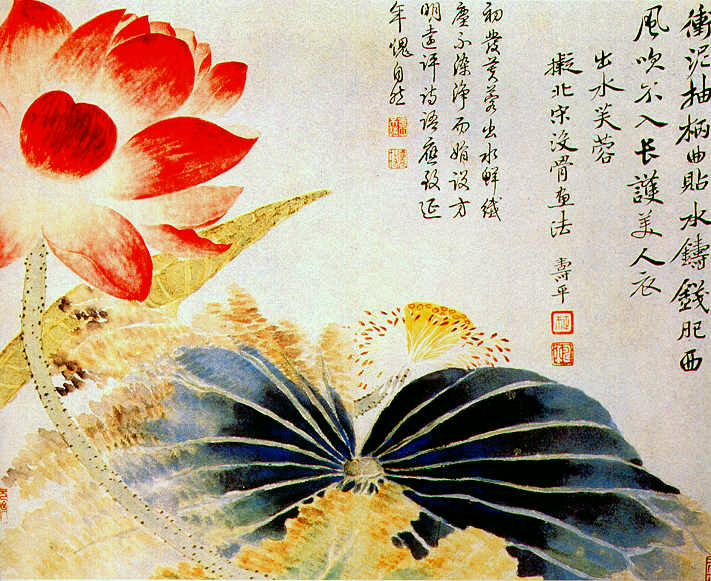 His most memorable work, however, is The water lilies series. These 250 paintings, created during the final three decades of his life, are all the more impressive when considered in the context of his life: Monet was 58 years old when he began the series and for the last ten years of his life his vision was compromised by cataracts. He wrote to a friend of his changing vision, My bad sight means that I see everything through a mist. Even so it is beautiful, and that's what I would like to show (1911). Guided by his memory of color or by the shifting truth of his own eyes, Monet continued the series until his death. This prolonged study leaves us with more than the remarkable vision of a lily pond. It showcases Monet's own personal transformation with aging. We cannot fully appreciate the scope of Monet's accomplishment with one painting. We must consider the interplay of art and artist across Time. Returning now to my own "once upon a time". The garden polyptych is a new series I created for a November exhibition. 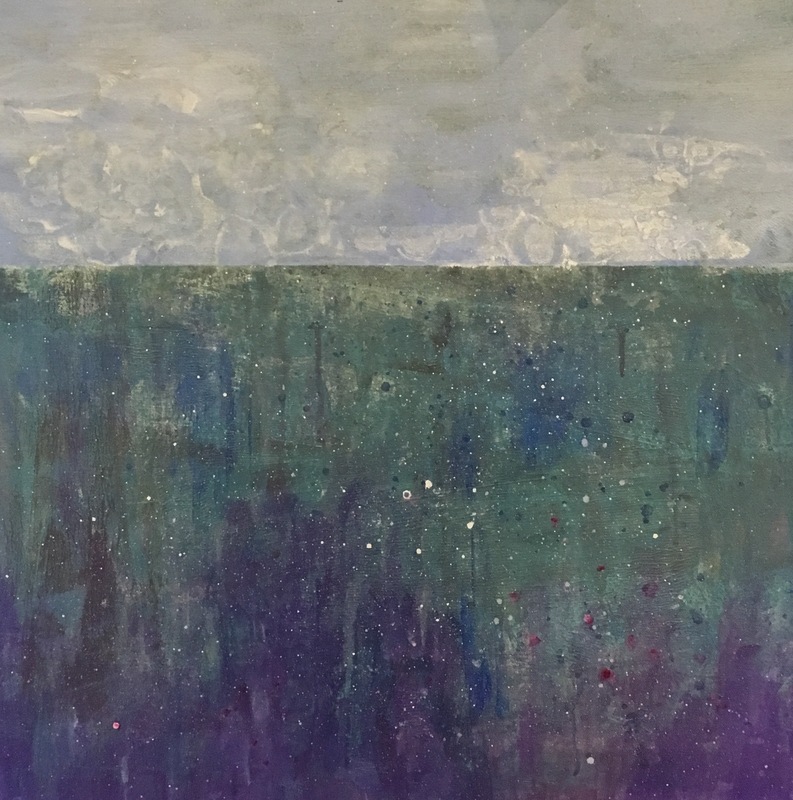 I didn't know that I would be painting a garden across time but after several false starts, a garden emerged. Then when it re-emerged, I entered the world of "once upon a time" or a world of possibilities. I've been exploring The Little Office of the Blessed Virgin Mary as a story telling cycle for several years and suddenly the possibilities for that narrative thread opened up into my visual world. What excited me about this garden was the way time is anchored to daily living and yet still transcends it. One of the problems with fairy tales is the expectation that one moves from "once upon a time" to "happily ever after". The underlying assumption is, I suppose, that what happens after "happily ever after" is just not interesting enough to write (or whatever happens after a princess marries a prince, or a knight defeats a dragon, etc). What I want to suggest is that we view "once upon a time" instead as full of possibilities -- possibilities that open up with each day we live, each heartbreak we suffer, each joy we glimpse, each unexpected garden we find, each time a shaft of rainbow light puddles on the floor. This brief explanation of The Little Office of the Blessed Virgin Mary may provide a helpful context for The garden polyptych. The Little Office is an old liturgical form popular in the Middle Ages. It is not only a spiritual practice but a dynamic storytelling cycle that transcends time, by spiraling back on itself and beginning again. The format is a weekly devotional cycle consisting of psalms, hymns and sacred readings. By the tenth century it was in widespread use, showing up as standard text in the book of hours. By the fourteenth century it was obligatory practice for all clergy. Since the conclusion of the Second Vatican Council, The Little Office has endured in print and practice as an alternative to The Divine Hours. 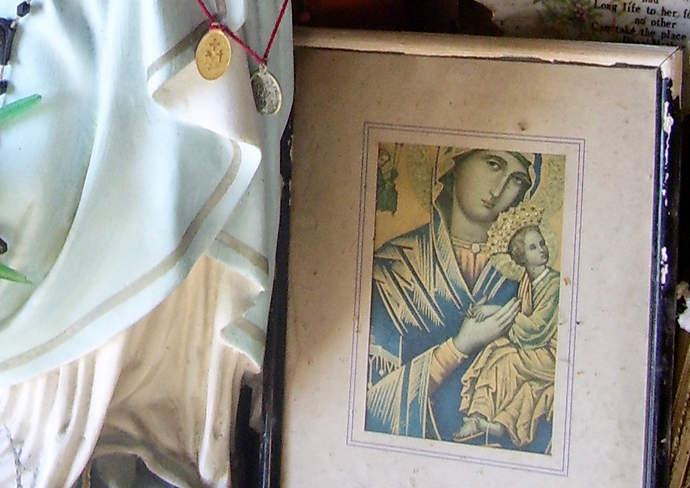 This option accommodates those who simply prefer The Little Office over The Divine Hours and also those who choose to center their daily spiritual practice around the Virgin Mary. 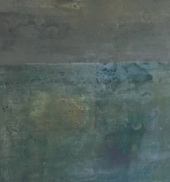 Each panel of The garden polyptych coincides with an hour found in The Little Office. Here Mary becomes the garden, revealing herself through form and color, over time, and within the miracle of one created day. The eight canonical hours are distinct intervals of time between the daily prayers. In the Roman and Anglican traditions the canonical hours are also known as 'offices'. In the Eastern Orthodox Church, they are called 'the divine services' and The Books of Hours is called a Horologian (Ωρολο´γιον). (above) 6 E. Liberty Street. Savannah residence of my grandmother, Rosa Smith Usher. Her brownstone has changed hands several times since her death. 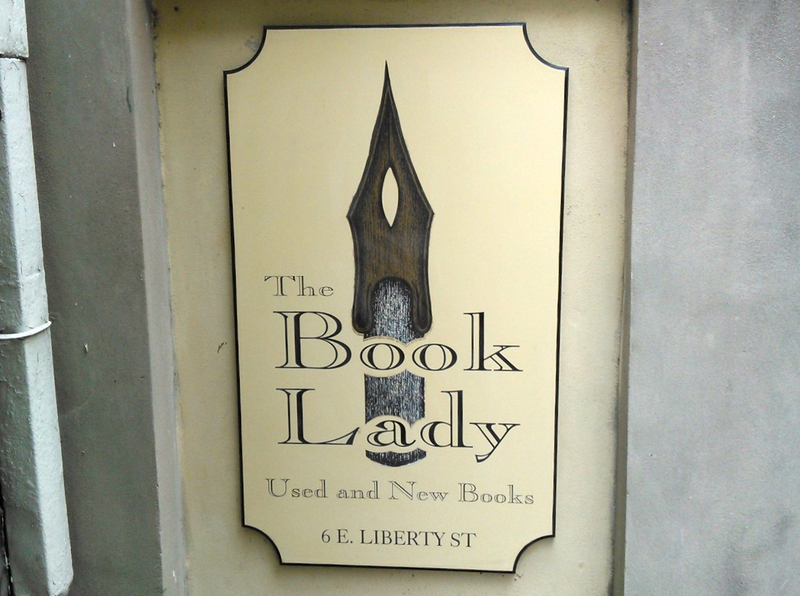 Most recently, it is home to several small businesses, including the independent bookstore "The Book Lady". First birthday, 6. E. Liberty Street. Savannah, Georgia. I am standing on the stoop of my grandmother Usher's brownstone, the same place where "The Book Lady" sign now appears.
. . . On Saturday mornings, after a breakfast of Oscar Mayer link sausage and scrambled eggs and small slices of cinnamon pastry, I retreated to the rooms on the abandoned fourth floor. The smell here was all grandmother, all soft and sweet, like musty cotton felt. This was my writing cloister, a windowless room in my grandmother’s Savannah brownstone, its primary feature a 1920 black Olivetti typewriter. I was ten and I was writing my first novel, manually extracting one letter, and then one word, and then one sentence at a time. It was a murder mystery with a heroine remarkably similar to Nancy Drew. For a month or two, I took the completed chapters into school and, with the indulgence of my fifth grade teacher, read them aloud in class. However, Destiny intervened at Christmas when I read Little Women and decided to write and direct a stage adaptation of Alcott's novel instead.